Affirmation: I embrace my inner child today. I let go, have fun and play! Today I’m heading outdoors to play with my hula hoop. If you don’t have a hula hoop I definitely suggest getting one. I have a pro hoop. I’m not a pro hooper but I have a pro hoop because its actually a lot easier to hoop with. It’s great for widdling your waist down and strengthening your stomach muscles too! Even using a less expensive type of hoop is fun to play with too though. Taking time out to kick up your heels, let go and play is a great way to reward your inner child. It’s important to take care of the child within no matter what your age is. It gives you a fresh perspective on life and opens you up to new opportunities. So get outside sometime today and play! I know you can think of something that’ll put a big huge smile on your face. Your inner child will thank you and I bet everyone will be telling you how vibrant you look! 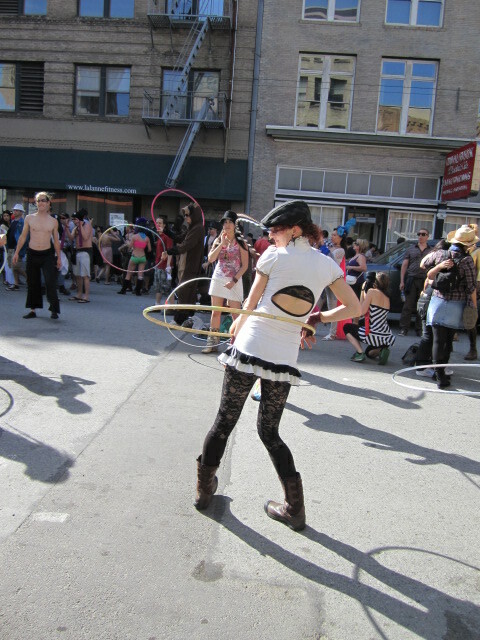 This entry was tagged affirmations, celebrate life, Friday, happiness, hoop girl, hula hoop, inner child, love, play, spirituality. Bookmark the permalink.